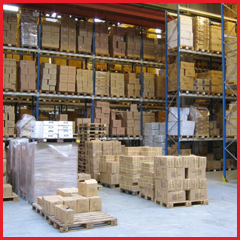 Count on our reliable inventory system and around-the-clock access to keep your products safe. Sample Logistics and Warehousing, LLC offers short and long-term storage and warehouse solutions for a wide variety of purposes. Get your shipment delivered on time every time with Sample Logistics and Warehousing, LLC. 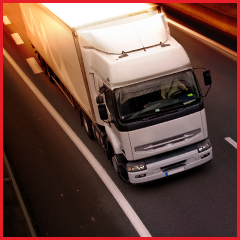 Our dedicated fleet ensures that your goods arrive when you need them to. Count on our experienced drivers to keep your products safe. Streamline your delivery process with cross-docking services by Sample Logistics and Warehousing, LLC. We make sure your inventory makes it from one truck to the other on time, so your deliveries are never delayed. Get started on your freight delivery with a three-hour delivery guarantee. With more than 20 plus years of experience, Sample Logistics and Warehousing, provides expedient and reliable transportation and storage solutions throughout the Las Vegas valley, and the surrounding states. We specialize in trade-show and convention freight. Whether you have a partial or full truckload, you can count on the professional services of Sample Logistics.